To Marinate: Place chicken in a nonporous glass dish or bowl. 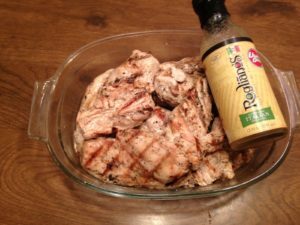 Poke several holes in breasts with a fork; cover with Rogliano's Authentic Italian dressing. Toss to coat, cover dish and refrigerate to marinate for 2 hours.